I’ll bet most people don’t know that today, November 7, is Herbert West’s birthday, except for folks who have read my novel The Friendship of Mortals. A fictional character created by one author may acquire additional traits at the hands of other creators, or even a whole life-story. Herbert West, the mad scientist obsessed with bringing the dead back to life, was an invention of H.P. Lovecraft, in his series of stories written for the pulp magazine Home Brew in 1922. The only thing H.P.L. tells us about this character’s appearance is that he is “a small, slender, spectacled youth with delicate features, yellow hair, pale blue eyes, and a soft voice.” We learn little more about West in the course of the six stories beyond his views on life, death and the non-existence of the soul. I suspect that most people would be more likely to recognize Herbert West in the form he acquired in the 1985 movie Re-Animator and its sequels, where he was creepily portrayed by the actor Jeffrey Combs. In this manifestation, West is “spectacled,” all right, but his hair is black. As with H.P.L.’s original, we know nothing about his background or origins, only that he is an amoral quasi-scientist who will let nothing get in his way when it comes to injecting syringe-fulls of his glowing yellow-green reagent into really fresh corpses. Wikipedia lists a whole gang of Herbert West spinoffs, in movies, comic books, video games and at least one musical. Then there’s my Herbert West. He was born in Boston on November 7, 1886 (or, if you prefer, in my basement writing room on November 7, 2000), the son of an undertaker-turned-gangster called Hiram West. 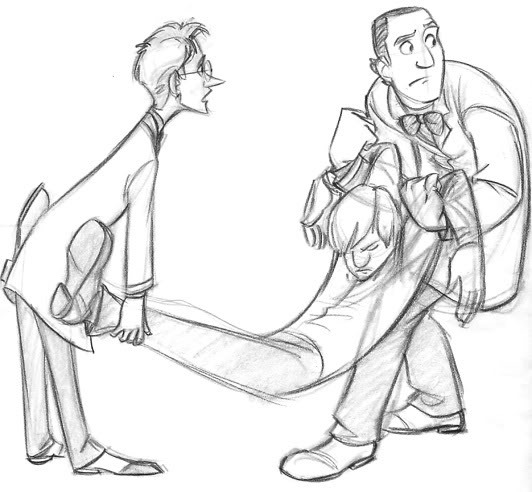 Herbert is the youngest of Hiram’s three sons. Unlike his brothers, he takes after their mother, Anna Derby West, and is indeed short, slight and blond. He wears gold-rimmed spectacles, but his eyes are grey, not blue. In addition to his research, he’s fond of cooking (specializing in Italian dishes). He’s a snappy dresser, likes fast cars and can throw a knife as well as wield a scalpel. And yes, when we first meet him, he is convinced that life is a mechanical process and the soul does not exist. But that changes. 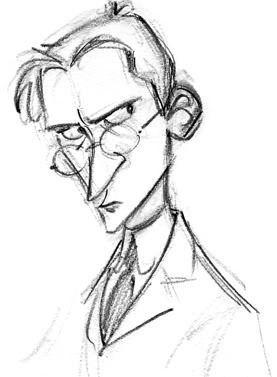 I present Herbert West through the eyes of my narrator, librarian Charles Milburn. He’s a couple of years younger than West, an orphan whose old Bostonian family had come down in the world. Where West is devoid of a conscience, Charles is overburdened with one. But that doesn’t stop him from becoming West’s assistant and following him down the road to various trials and tribulations. 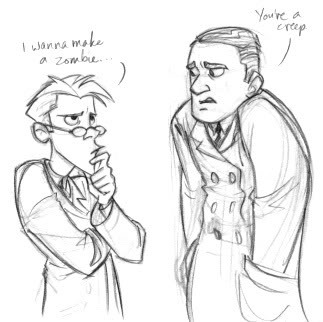 Speaking of Re-Animator, I watched it for the first time last night. Somehow it seemed appropriate to do so on the eve of the tenth anniversary of my starting to write the first of my three Herbert West novels. What did I think of it? Well, first I must admit that the comedy-horror splatterfest isn’t the sort of movie I enjoy. I prefer more plot and dialogue and less gore and guts. In fact, when it comes to horror, I prefer books to movies. Books are really mind-movies, and they can be a lot more horrifying than anything served up on the screen. This aside, I have to admit that Re-Animator is a credible adaptation of H.P. 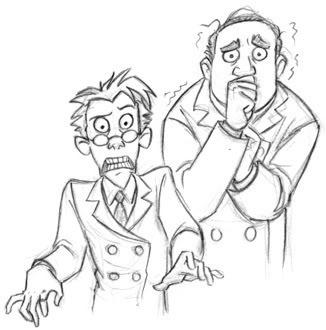 Lovecraft’s “Herbert West, Reanimator” stories. It pretty much ignores three of the six segments, concentrating on the fate of the unfortunate Dean Halsey. The disembodied head, a feature of the World War I section of the original, is also given a starring role. The mayhem in the Miskatonic morgue toward the end of the movie is also a pretty good take on H.P.L.’s ‘Tomb Legions.” But the final scene, to me, was more reminiscent of Stephen King’s Pet Sematary (another good treatment of the bring-them-back-to-life theme), than anything by H.P.L. The following interview with Dr. Herbert West might have taken place in the spring of 1923. Q: Dr. West, what brought you into the medical profession? A: Death. My mother and twin brother died when I was a child. Since then death has been my adversary. Q: How do you oppose death? A: With science. It’s the only way. What else would you suggest, Miss___? A: [Laughter] Prayer! Surely you don’t envision me as a man of the cloth? [More laughter]. Q: No, not at all, Dr. West. Tell me, please, where were you educated? A: Here in Arkham, at Miskatonic University. I received both my undergraduate and medical degrees here. Q: So you are acquainted with the Dean of Medicine, Dr. Allan Halsey? Q: Unfortunately? I understand that Dr. Halsey is well thought of in medical circles. A: He can be charming. All deans should be charming, but it takes more than charm to be a competent physician. Q: What qualities do you think are essential in a physician? A: Fearlessness. Willingness to risk all for science. Perhaps a certain ruthlessness. Q: Ruthlessness — did you learn that in medical school? A: [Smiles] Perhaps I did not need to learn it. But I will remind you that I was a surgeon in the recent war. Q: Yes, will you tell me a little about your war experiences? A: I could tell you a great deal. More than you would ever wish to know. I will say only that for me, the War was a great laboratory. Q: So it’s true that you have done experiments on humans? Q: Can you tell me — ? Q: Some people have called your achievements miraculous. What do you think of that? A: Nothing is “miraculous.” It only seems so to the ignorant. Q: And there are others who call your approach unethical. Q: Dr. West, do you think that it is possible to achieve immortality? Of the body, I mean. A: Bodily immortality is the only sort I acknowledge. Achievable? Yes, by all means. Q: You sound so certain, almost as though you have already done it. A: Miss ___, I think this interview is now finished. But I will say one more thing — Miskatonic University is not a milieu that favours the unorthodox. Have I answered your question? Q: Thank you for your time, Dr. West. A couple of weeks ago I finished reading Mary Shelley’s Frankenstein for the first time. Having written three novels about someone who began as a “mad scientist,” I felt obligated to read what may be the original mad scientist novel. As I wrote earlier, I did not find many similarities between Frankenstein and the contemporary horror genre. On the other hand, my novel The Friendship of Mortals, although rooted in H. P. Lovecraft’s story “Herbert West, Reanimator,”does not belong in that genre either. I saw the pale student of unhallowed arts kneeling beside the thing he had put together. I saw the hideous phantasm of a man stretched out, and then, on the working of some powerful engine, show signs of life, and stir with an uneasy, half vital motion. Frightful must it be; for supremely frightful would be the effect of any human endeavour to mock the stupendous mechanism of the Creator of the world. His success would terrify the artist; he would rush away from his odious handiwork, horror-stricken. He would hope that, left to itself, the slight spark of life which he had communicated would fade; that this thing, which had received such imperfect animation, would subside into dead matter. 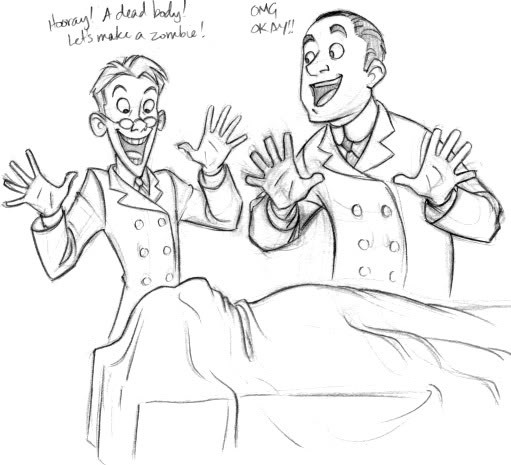 That is exactly how I envisioned my character Herbert West reacting to a successful reanimation of a corpse. Of course, the Creator of the world did not play a role in West’s reaction, because he did not acknowledge such a being. West prided himself on being a pure scientific rationalist. 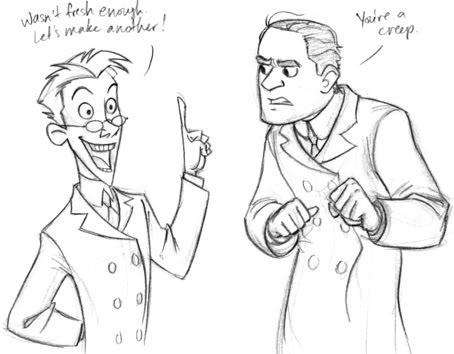 But “imperfect animation” was a key element in HPL’s story. His Herbert West persisted in reanimating in the hopes that he would eventually achieve perfection. He never did, and eventually all his botched experiments got together and destroyed him. My Herbert West undergoes a more subtle transformation. 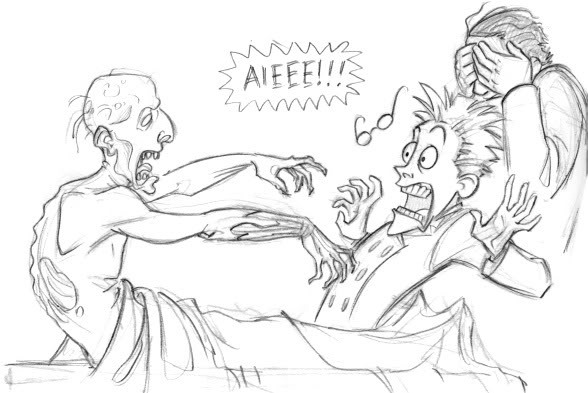 The mainspring of The Friendship of Mortals is the question of what sort of person would be drawn to reanimating the dead, and what sort of person would be drawn to the reanimator. How would such a friendship play out and what would be the ultimate fate of the scientific rationalist? 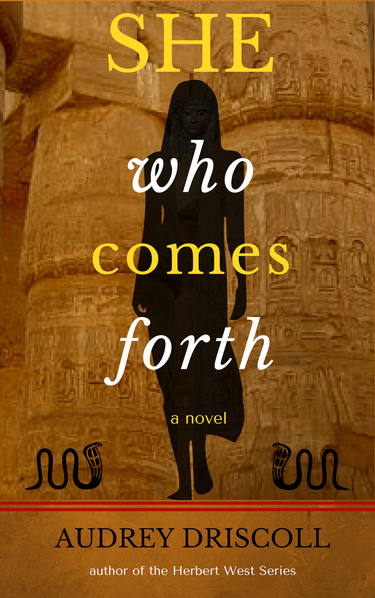 Since I have written three novels featuring a character who originated in H.P. Lovecraft’s mad scientist, Herbert West, I thought I should finally read the quintessential mad scientist novel, Mary Shelley’s Frankenstein. Less than halfway into the book, it became clear to me that it is not in any sense a ‘horror story.’ Mary Shelley’s intention was not to produce thrills and shudders in her readers (unlike M. G. Lewis, whose novel The Monk, published a couple of decades earlier, was dedicated primarily to the production of such emotions). Shelley was intent on showing the consequences of scientific hubris and exploring what it means to be human. The Monster’s tale of his early days, his attempts to learn speech, his attraction to the family near whose home he lived are touching, especially given the tragic consequences of his rejection by humanity. 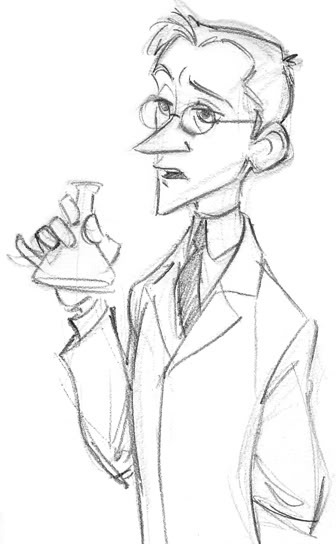 H.P.L.’s story, “Herbert West, Reanimator”, touches on the theme of hubris as well, although this aspect is a sideline to its main purpose, which is the production of thrills and shudders. Unlike Shelley, Lovecraft revels in the description of corpses and West’s secret laboratory procedures. But West’s creations bring about his undoing in the end, just like Frankenstein’s. As a horror story, “Herbert West” beats Frankenstein, in my opinion, even though I am the first to admit that it is not Literature, and Frankenstein is. So where does my own take on the mad scientist, my novel The Friendship of Mortals, fall in the thrills vs. social commentary issue? I believe it strikes a balance between the two, but leans more toward thrills and enjoyment while subtly inserting other themes. Readers will no doubt have their own opinions.